Darkness falls over the poor lands of the American anime market. What was once a prosperous and thriving area was now facing mass famine due to the abandonment and neglect of its people. Now the land’s most terrible foe, the evil giant Fansub monster, has grown so big that even the mighty warriors of the industry struggle to survive. “It’s too much, I can’t go any farther,” calls out the Geneon Ranger as his giant robot becomes the first to crumble to the ground. “Right!” confirms the others, and they join their battle machines together to create the FUNizoid – savior of the market and fighter of the Fansub monster! And unfortunately for everyone, this massive mech is the last hope left for the struggling industry. Funimation surely made a big splash during the Anime Expo convention two weeks ago. First, they announced the acquisition of Geneon’s 8-month dormant titles and their intentions on releasing them all themselves. Before the dust even had time to settle from that big one, it was made public the next day that they had also acquired a majority of ADV’s releases, some of which were even scheduled to be released just days before the announcement. With the acquisition of two of the fallen giants, many anime fans begin scratching their heads over this very unlikely turn of events. How did Funimation, the former footnote in the industry, become such a dominate and successful figure while others simply fell apart? Funimation used to be known only as the company who dubbed Dragon Ball Z for America. In the mid-90′s, the company brought over a heavily edited version of the show to be broadcast in syndication. The show initially tanked, and all was lost until Cartoon Network decided to picked it up a couple years later. With a renewed interest and growing audience for the franchise, FUNimation went back to finish off the rest of the incredibly long TV series as well as acquired the rights to the show’s predecessor, Dragon Ball, and sequel, Dragon Ball GT. The crazy thing about DBZ is just how amazingly popular it is. I’m sure that a lot of today’s otaku will attribute the series as their gateway into the medium. Hell, even I used to watch the show with all my friends before I really got into anime. The show has lead to many figures, trading card games, and what appears to be a new video game release every year for every system. The interest is so high that 20th Century Fox is even in the process of creating a freaking Hollywood film out of it! And with every video game, action figure, and trading card you’ll find in America, you’ll see the Funimation logo marked somewhere on the packaging. It’s a licensing goldmine. Once DBZ made it big on Cartoon Network, the company went on to license more anime titles, starting with the more adult-oriented series Blue Gender in 2001 followed shortly by the more DBZ-like series Yu Yu Hakusho. Hakusho had the privilege of launching with Cartoon Network’s new Adult Swim anime line up along with several of Bandai’s titles in 2002, and the new programing block ushered in a new age of anime interest in America. Many companies like ADV and Geneon grew tremendously following the Adult Swim Revolution and they all standardized the niche DVD market in America. Funimation also went into some new territory at this point with licensing such niche shows as the popular shoujo series Fruits Basket and fanservice-heavy Kiddy Grade. But even when going with these more “conventional” anime titles, the company released them in a very unconventional manner. Contrary to the standard at the time, Funimation’s shows would include an English dub of the show’s theme songs. This made a very unusual impression on fans who were not used to hearing anime songs being sung in English or were just too familiar with the song’s original vocal track. Their DVDs also included a “dubtitle” track that would transcribe the dub dialogue rather than translating the Japanese track. This prompted AnimeOnDVD’s Chris Beveridge to occasionally warn his readers to be careful not to confuse the “dubtitle” track with the regular subtitles on Funimation releases. 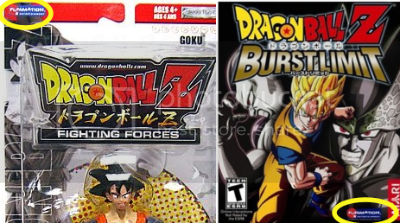 This odd method of DVD releases also left a poor impression on anime fans in general, and many would just write off the company as “those weird folks who do the DBZ releases.” Funimation become somewhat of a bit player in the industry while most of the attention was being put on the folks at ADV and Geneon. However, the market created from the Adult Swim Revolution fell through within the past couple of years due to fans now turning towards illegal downloading rather than purchasing DVDs. American companies who were attempting to adapt to this changing environment were now at the mercy of their Japanese counterparts and their reluctance to move into the digital market. Geneon, which was closely tied down to its partnerships in Japan, continued on their DVD-only release schedule with a focus on really niche anime titles. Titles like Strawberry Marshmellow failed to sell stateside due to their limited audience having already seen the show years prior to the release. Geneon was the first giant to crumble to the fansub monster, and they had ceased all of their DVD distribution last December. ADV was always forward thinking in their release strategy, and they used their DVD money to go into some innovative markets such as magazine publishing and video-on-demand services. But when it came to going digital distribution, they still couldn’t get the support of their Japanese partners. Right when the company was on the verge of creating something wonderful, it all came crashing down on. The DVD funds were finally depleted and they were forced to cut back on everything they were working on including shows that hadn’t finished production. Yet enough victim of the Fansub monster. That’s when Funimation, still riding that DBZ dragon alongside the highly successful Full Metal Alchemist franchise lately, stepped forward to pick up the pieces. Funimation’s first major step into the digital space was becoming the first anime studio to go onto iTunes in February of 2007. Gonzo, a Japanese studio who was also feeling the pain of the fansub problem, was the only studio that would allowed them to put their titles for sale digitally. Funimation found the digital marketplace to be very profitable, and quickly moved into new services like the Xbox Live Marketplace, Amazon Unbox, and as of just yesterday, the Playstation Store. The company created a new policy – they would not license any show unless they received the complete cooperation from the Japanese to go digital with their product. As the giants of the industry began to crumble, the Japanese had no choice but to cave into Funi’s demands. Funimation now stands alone with only two other giants in the anime industry, Bandai Entertainment and VIZ Media. Bandai and its president Ken Iyadomi have proven again and again how much they don’t understand the new market of anime today and are very reluctant to sell digitally. They are at risk of falling just as much as Geneon and ADV did before them. Viz Media is sitting pretty with their deal with Shueisha, and they have several highly mainstream titles like Bleach, Naruto, and Death Note to ensure their security in the American market. And even if the anime industry falls completely, Viz still has its manga division, which has been unaffected by online piracy up until this point. That leaves Funimation as the industry’s last hope. They have enough DBZ funds to make up for the lack of DVD funds. They have enough weight to throw around to get the Japanese companies swaying to a new direction. And they have the right insight into the current American market to know which direction they need to be heading in. But until they can find a weakness in the powerful Fansub monster, even they don’t stand a chance of survival. This entry was posted on Wednesday, July 16th, 2008 at 6:35 pm by Scott	.